Home > Archive by Category "Gambling Legalization"
You may not realize it, but gambling is as American as apple pie. The country has a history of gambling and casino laws that have led to the explosion of legal gambling beyond the borders of Nevada. How have American attitudes toward gambling been reflected in our laws since we gained independence? We will take you through that history in this guide. Keep reading to learn the storied history of gambling in the United States. The history of gambling in the U.S. goes back to pre-Revolutionary War days. A British law from 1769 restricted lotteries, which the colonies used to fund essential services. This stoked tension between American settlers and the crown, which contributed to our fight for independence. Once the war was won, legal gambling had a brief golden age in the country. The Las Vegas of the early 1800s was the Mississippi River. This was the era of riverboat gambling, and this form of entertainment flourished. Puritanical morals started to brush up against betting-related entertainment in the mid-1800s. This was around the time of the Gold Rush in California. Gambling migrated west with the prospectors. One form of betting that has remained relatively untouched by restrictions is horse racing, which is legal across the country. All three races in horse racing’s Triple Crown—the Belmont Stakes, the Preakness, and the Kentucky Derby—were established by 1875. Since then, Derby Day has become one of America’s most beloved and nostalgic makeshift holidays. Since gambling has been regulated by various government bodies over the years, it would fill a library for us to compile all of the laws around it. But by the early 20th century and especially Prohibition, games of chance were on the outside of the law. They were mostly the domain of the Italian mob and other organized crime syndicates. Gambling grew in popularity as the 20th century progressed. The stock market crash of 1929 that gave way to the Great Depression saw the legalization of gambling is Nevada as a way to generate revenue. From there, havens of gambling emerged in the following cities. Atlantic City: Gambling legalized in 1977. Native American reservations: The Seminole tribe opened the first reservation-based casinos in 1979. The Indian Gaming Regulatory Act of 1988 puts decisions around gambling on tribal lands in the hands of the states. Illinois, Louisiana, and other states: Riverboat gambling legalized in the 1990s. Sports betting and online gambling remain issues of states’ rights, thanks to a couple of key laws. In 1992, the Professional and Amateur Sports Protection Act (PASPA) went into effect. This left Nevada, Oregon, Delaware, and Montana as the only states exempted from its restrictions on sports betting because of their existing industries. In 2006, the Unlawful Internet Gambling Enforcement Act put online gambling in the hands of state regulatory agencies. As a result, there are still many murky areas around interstate internet gambling. This blog is a great resource for parsing some of the confusion in this area. Gambling is big business in the United States, despite the fact that casino laws remain complicated. Most of them come from state governments, with the federal government staying relatively hands-off. If you find you need help sorting through these laws because of your own gambling winnings, we recommend searching for representation in our database of lawyers. There is not much similarity between religion and taxation but if one parallel could be drawn between the two it is that many tax regulations and religious principles are set in stone. They have remained the same for ages and the people are expected to follow them by the letter. Different countries have different laws but the core principles of taxation are true for all the countries. 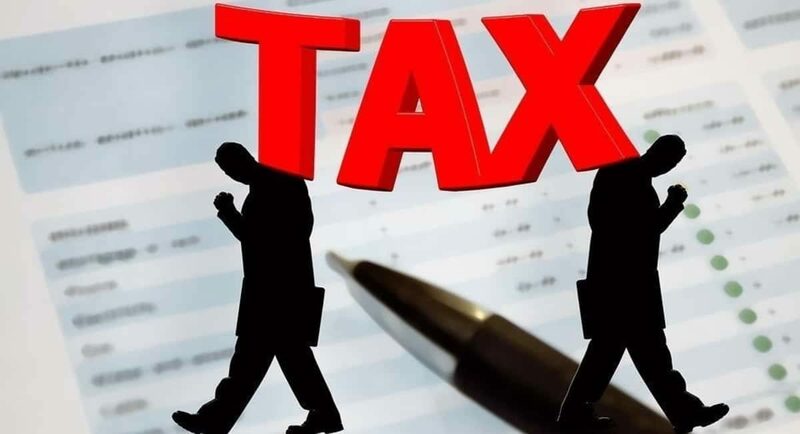 Income from various sources is deemed taxable under laws of various countries. For e.g. The Internal Revenue Service taxes (IRS) all income accrued from any source under the laws of the United States of America. This means that winning money from gambling, lottery, etc. is also taxable in America. We have brought you some tax rules which can help you legally manage your gambling winnings. You must be familiar with the various 1099 forms that you receive at the beginning if each year. Your social security number is attached to these forms and they include sort of a notice about what part of your income is taxable. If you are not certain if income received from a certain source is taxable or not you must also report that in the Forms 1099. The Forms 1099-Miscellaneous cover almost all type of income. If you are employed in a corporation then your payer will roll out the forms on regular basis and send them to you. In a scenario where you don’t receive the forms it is wise not to ask for them as you might end up getting two set of forms, one which is issued in the ordinary course and another because you asked for it. This means that the income reported to the IRS will be twice your actual income. As per the IRS rules you should file to amend the returns if you find a mistake in it afterwards. But be careful about taking this step as the amendment request go through strict scrutiny of the IRS. So when you file to amend you must correct every mistake, if the IRS finds that you have not sought to alter something from which you were benefiting you could land in trouble. First thing to know here is that you must file for your returns within the stipulated time even if you are not able to pay within such time. Filing returns on time can save you from the unnecessary penalties. You can even arrange for an agreement with the IRS wherein you pay the tax in instalments. Secondly, you must not attach too many documents and if you are required to explain or disclose something then try to keep it concise. And there is no need to attach documents that are not asked for in the forms for filing return. If the IRS needs any particular document from you they will ask for it. If you’re suffering through bankruptcy or tough financial times, you might be considering other ways to make some quick cash. Or maybe you’re just looking for the next big payday. How about gambling? Depending on your luck, the Super Bowl can either win you a lot of money or leave you in a worse situation than before you placed your bet. You don’t have to go big. If you’re looking to place a bet on the Super Bowl, here’s everything you need to know about it. Check your state and federal laws for gambling. If you live in a state with legalized gambling, chances are you are safe to place your bet. But what if you’re not in a state with legalized gambling? Find an online betting site. Your research isn’t over if you find an online site that you like. Make sure the site is licensed at the state level to be legal under federal law. Online betting isn’t a free pass for gambling. Discover more here about online betting. Verify that the site is reputable and legal. Make sure they honor their payouts. After you’ve confirmed you’ve found a good online betting site, do your research about the game. If your favorite team is in the Super Bowl, but they aren’t favored to win, you need to place your bet on the opposing team. Put your pride in check. Wear your team’s colors. Cheer for your favorite to win. But to win money, your money needs to go where the odds are in your favor. With your fortune on the line, no detail is too small for research. Know what plays into the odds for each team to win. Use this education to make your best-educated decision on your bet. The overall winner-loser isn’t the only thing worth your wager. Prop bets can be your friend in the Super Bowl gambling game. People place these bets on specific events within the game. So, even if you lose you wager on the winner, you could still win money on prop bets. These kinds of bets can be sports-related: total passing yardage, stats per specific players, or the win-loss spread. Prop bets can also get more fun and silly. How many Super Bowl commercials will involve cute animals? Will the halftime performer be shirtless? Have fun with your Super Bowl bet. It doesn’t have to all be about the winner or loser. The best way to bet on the Super Bowl is to do it safely and legally. Do your research ahead of time. But if your gamble doesn’t pay off, use a lawyer to help minimize the damage. Search our database of available lawyers for any legal situation. Online gambling is taking over the internet in some ways. There are a plethora of online gambling sites which are located overseas (and some in the U.S.) that citizens of the United States can frequent and it’s pretty much entirely legal. However, you should study local and state laws before you start participating in online gambling. You should also learn about which countries outside of the U.S. that you can legally gamble with using the internet. Another thing you really should do is look into which sites are certified and trusted by using platforms such as ban scammer city. Offshore online gambling websites have been around for quite some time now. However, it’s only in the last 10 to 15 years that they’ve really taken off. Part of the reason for their more recent popularity is the fact that laws have started to become much clearer about what is actually allowed and what is not. In America, things are still kind of figuring themselves out. But, most Americans can use offshore sites without much of a problem or worry. With the rise of fantasy football and websites like FanDuel and Draft Kings, it’s becoming much more acceptable to wager on professional sports. It’s not quite gambling although it’s also not much different in some ways. But, since you aren’t technically wagering on the outcomes and or scores of games it’s thought to be acceptable. You are more or less betting on each player you choose for your team to have success and score a lot of points within the fantasy scoring system. And by using these two sites you have the potential to earn tons of money if you are lucky enough to win one of the big pots. If you are an American citizen things aren’t quite black and white when it comes to gambling and gambling online. The best thing for you to do if you want to wager on sports or play the casinos online is to find a site that is located outside of the U.S. in a country where online gambling is considered legal. Most sites like this allow Americans to participate and are free of any legal worries in this case. Sites like the ones listed below are best for people from the United States and are operating outside of U.S. jurisdiction. Many countries have lesser regulations as say land-based U.S. casinos so it’s important to use this guide for trusted casinos which are known to operate and payout real funds and the games are thought to be on the up and up. These sites also making it pretty easy for U.S. based players to load and take out money to and from their accounts. Bovada has been in operation since 1994. It’s pretty much a one-stop shop with sports betting and a full online casino with games like poker and blackjack. On Bovada you can pretty much bet on any sport you want and during election seasons you can even wager on political wins and losses. This site has a respectable reputation and is a favorite of many players from the U.S.
Bovada takes on all comers from the United States exclusively except those from Maryland, New York, and the state of Washington. Deposits on Bovada can be done with prepaid cards, some credit cards, and your Visa debit card. You’ll also need to show proof of residence and that you over the age of 21. Withdrawals are sent via Rapid Transfer or a check. Bovada offers an initial deposit matching bonus of up to $3,000 and is widely considered the number one online casino for players in the USA. They also offer a Bitcoin bonus. One thing to keep in mind is Bovada’s sister site Bodog88 allows players from some Asian countries to play poker with those on the Bovada platform since they are using the same network. BetOnline is another great place for Americans to gamble online. Here you can bet on sports, horses, and several casino games as well. They also have a feature called Betting edge which offers great tips for players who are beginners to experts. You can bet on hockey, football, golf, baseball, basketball, among others and even the Olympics. If auto racing is your thing you can bet on that too with BetOnline. BetOnline offers a 50% initial deposit bonus match of up to $2,500. Cafe Casino offers a 500 percent initial bonus match of up to $5,000. This is a highly trusted online casino that is also mobile friendly. CafeCasino is known for their slot games and they are said to be pretty loose. So if the slots are your bag then this is probably the site for you. They have tons of different slot games so you’re sure not to get bored. They also offer a $100 referral bonus and specialty games too. So, What are the Legal Ramifications of Online Gambling for U.S. Residents? As mentioned earlier things are still a bit confusing and they are also rapidly changing when it comes to online gambling laws in the U.S. Well, let’s look at what we do know. The DOJ (Department of Justice) has stated that each individual state has jurisdiction over what their laws should be when it comes to both online and land-based casinos and or gambling. Also, most states don’t have statutes which speak about online gambling. However, it could be understood that if a law mentions gambling this means gambling in any form. Like I said things aren’t even remotely crystal clear on this subject. The DOJ and other federal entities have gone back and forth over the years concerning online gambling. First, they said it was completely illegal. Then, last year they stated that all forms of gambling online wasn’t illegal. After that, they’ve come to their current stance of saying that it’s up to each state to determine what is what when it comes to online gambling in the United States. This prompted many states to move forward with legalizing some forms of online gambling. Some states allow for more options than others. It should be noted that in many states that do say online gambling is illegal, the laws are pointed and in reference to the bookmakers and not the players. Many states are planning to move forward with further legislation by 2020 to loosen the reigns on gambling online even more. This being said and like a broken record things are still not extremely clear across the country. To sum it up, it appears that federally bettors participating in online gambling in the United States are good to go. However, it’s the state statutes that need to be studied and adhered to if you want to keep your nose clean and avoid any problems. The internet has brought the whole world closer. So many things have changed in a global matter since the invention of the internet and in light of its startling growth rate, most people from countries around the world have access to the wealth of information and plethora of connections available through the internet. However, online gambling like joker casino has many restrictions, jurisdictions, and laws that prevent most of the world from participating. The United States is no exception to those restrictions, although things are progressively changing. Below are some thoughts and steps to understanding said jurisdictions and licensing practices across the U.S. First let’s talk about what licensing and jurisdiction is exactly when it comes to online gambling sites. Regions all over the world who have certain laws in place to allow online gambling are regulated by their specific governments. Companies running online gambling websites are under the thumb of regulation administered by its government. There are even regulations on companies who supply software used by online gamers and bookmakers. All of these regions around the world are termed online licensing or online gambling jurisdictions and the organizations responsible for giving out these licenses are mostly known as licensing authorities. If you have an online gambling site and you want to keep things on the up and up then you need need to obtain and maintain a license for gaming which is issued by the proper authority for gaming licenses. Then, the online gaming site will need to have at least some of its business and operations running within the jurisdiction in which it is registered. After that, any company offering these gaming services shall comply with the laws and regulations that apply to where they are based and where they were granted a license. Some might think that the more restriction a region or state has the worse off it is, especially for the player. However, this is not the case. Most of these licensing practices and restrictions are there for your protection. Furthermore, some companies opt for operating their business in less restricted regions and jurisdictions simply because they can get away with things that they wouldn’t be able to otherwise. For instance, they can decide not to pay you by using certain loopholes is less strict areas. They can use these tactics to delay payment or pay less than what you might have won. The good thing about this is that you can look for websites that are blacklisted. There is a compiled list of these sites all over the internet, and you should always check whenever you are signing up with an online gaming site. So, that being said, let’s discuss the legal gaming and licensing jurisdictions in the U.S.
One thing we must talk about is the Wire Act of 1961 or the Interstate Wire Act. The Wire Act basically states that anyone who engages in betting and or wagering and uses a wire or phone intentionally across state or foreign borders or anyone who sends or receives money as a result of a bet on sports or any other contest can receive fines and a possible prison sentence of up to two years. There was some uncertainty as to whether this applied to internet gaming or not. Up until the early to mid-2000,s, there didn’t seem to be a problem with online gaming since the internet wasn’t invented yet when they wrote the law. However, in 2006 the Unlawful Internet Gambling Act passed Congress and brought some changes. The Unlawful Internet Gambling Act didn’t state that it was illegal to gamble online. But, it does state that banks and other financial institutions cannot process any transactions for U.S. residents and online gaming websites. What happened next was a mutiny of sorts and most of the websites currently conducting business with U.S. residents jumped ship. They simply didn’t want to mess with the government and the other powers that be. There were some sites that pushed on and kept up business with bettors from the U.S. There was a loophole for those who pushed on. They were based in jurisdictions in which betting and taking bets online was legal and licensed. As far as the American people making bets, it was about a 50/50 split on who stopped gambling online and who didn’t. That brings us to where we are now, which is that many states have legislation that says online gambling is legal. There are even a few states that give out gambling licenses to website operators as long as they only take bets from people located inside their own state. It is probably an understatement to say that things are still a bit murky when it comes to U.S. gaming licenses and jurisdictions, although things are becoming more clear with each passing year. States in which it is completely illegal to gamble online are; Illinois, Louisiana, Indiana, Montana, Oregon, South Dakota, Wisconsin, Washington, and Maryland. And according to New Jersey and Nevada statutes non-state regulated online gaming is illegal. Maryland and Washington are leading a push to rid the internet of online gaming altogether. If those states have it their way, there will be a ban on internet gambling nationwide. The rest of the states have several different types of law which allow online gambling in some form. However, these laws can be fairly confusing and sometimes a bit contradictory in some states. It should be stated that most of the anti-gaming laws in many states are pointed at bookmakers and purveyors of online gaming sites, not citizens placing the bets. Although that doesn’t mean that a person placing a bet can’t get in trouble at the end of the day. So it’s best to have a grasp on all of your state gambling laws and remember which jurisdiction you are in at any given moment if you are placing a bet online. There are typically three categories of gaming and licensing jurisdictions in the United States and they are as follows. Citizens can place bets at designated pari-mutuel facilities on games such as e-bingo. You can also play video poker and video slot games at tribal venues. A state like Massachusetts has no wording in any of its laws stating that online gambling is illegal. There are very few regulations in Massachusetts when it comes to all forms of gambling, especially online gaming. Then there is the most widespread category, the middle of the road so to speak. These states have cloudy laws which are confusing to even astute online gaming connoisseurs. It is often hard to fully grasp the gaming and licensing jurisdictions in these particular states. And yes, they are often changing and conflicting. The best things to keep in mind are that like mentioned above most laws are aimed at entities taking the bets instead of those placing them. However, the best thing you can do is thoroughly read through your own states’ gambling laws and jurisdictions before participating in any form of online gaming. American gaming laws at present can be considered as an evolutionary concept that has resulted from years of exposure to various gaming products and the general cultural perceptions during certain periods in the country’s rich history and traditions. Unlike the popular misconception among the public, gambling in America is not an illegal activity, but it is mostly regulated and is restricted to a few cities and states. In fact, only two US states have declared gambling to be entirely illegal, which include Hawaii and Utah, while all other states have legalized some form of gambling, including lotteries and slots. 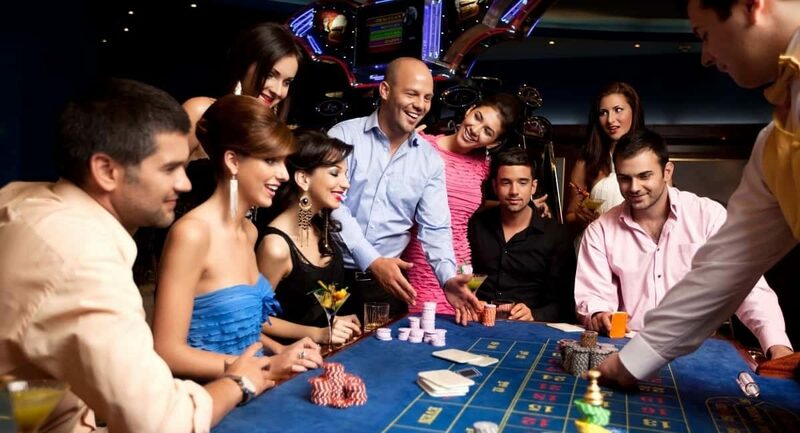 America is home to some of the most amazing collection of casinos and is often considered as one of the primary tourist destinations for people who love to gamble. Several innovative technologies and gaming products that were designed in the US have earned a prominent spot in casinos around the world. Regardless, gamblers in the USA can now enjoy the convenience of gambling online through US regulated casino operators, which provide an option to gamble on the move through a supported app for smartphone or tablet devices. However, it is indeed interesting to track the history of gambling in America, and how Las Vegas turned out to be the most popular gambling strip in the entire world. The American continent started receiving settlers from as early as the 1400s, but gambling took root in the country during the colonization efforts of the British in the 17th century. In its early forms, gambling did not face any legal restrictions, neither did it have any negative influence on the socio-economic norms of the native civilization. Settlers and colonies even used gambling as a form of revenue for various social projects, chief among which was the sale of lotteries to raise revenues for building schools and universities in the 18th and 19th centuries. However, the concept of gambling did not enjoy a favorable stance with the British Crown, who placed several restrictions on lotteries in the 18th century. Therefore, the first law regarding the regulation of gaming activities came into being via the 1769 restriction by the British, which had an adverse effect on the colonies. The law induced a drastic difference of opinion between the two sides and is often attributed as the first sign of resistance by the colonies towards the British regime. Gambling flourished during the immediate aftermath of independence, with lotteries being used at both the state and federal levels. Eventually, New Orleans became the gambling capital of the new United States, with the sale of lotteries and other gaming activities increasing across the nation. However, gambling started facing strict opposition from anti-gaming movements, which slowly pushed the market away from the mainstream. Several organizations and social movements worked hard to eliminate gambling from the land, which saw some success in the form of the decline of the market and the dispersion of the gaming activities towards other regions. The relative difficulties in the industry also led to the rise in illegal operations, eventually leading to San Francisco taking the crown as the gambling capital of the US from New Orleans. The Gold Rush Era in California also resulted in the popularization of the market in San Francisco, but subsequent intervention from the authorities in the form of gaming laws led to the ban on all types gaming activities in the state. The Reconstruction Era saw the concept of gaming turning out to be an honest trade in the South, but the different Governments soon stepped in to ban all forms of gaming towards the early 20th century. Such a move led to a rise in underground gambling and organized crime. The introduction of Prohibition laws also added to the woes of the industry, as numerous mob figures started offering extravagant gambling establishments in cities like Miami, Hot Springs, Denver, Kansas City, Deadwood, and Texas, which formed the underlying basis for mafia’s entry into the industry. The popularity of the market in regions with relatively negligible restrictive laws meant that gambling became synonymous with crime and anti-social elements. The constitution and legal framework allowed individual states to determine their own policies concerning gambling within their borders. Therefore, during the Great Depression, several states resorted to approving a few types of games of chance, such as Bingo, in order to raise revenue during the crunch time. However, Nevada faced the most disastrous economic turmoil among all states, owing to the problems in the stock market and the construction of the expensive Hoover Dam. Therefore, the state authorities started looking for alternative ways to raise money and fund their developmental activities. During the 1950s, gaming in Nevada flourished through the investment from mobs, mafia members, and gangsters, but 1960s saw the influx of wealthy and trustworthy investors, who changed the face of the casino industry. Las Vegas turned out to be the most favorite spot for gamblers, which started invoking interest from both domestic and international investors. Till this day, the Las Vegas Strip is considered as the gambling capital of the world, especially with its glittering lights, awe-inspiring monuments, and luxurious hotels & resorts. During the late 1970s, New Jersey came into the picture by legalizing gaming in Atlantic City, which helped increase revenue through tourists, resulting in Atlantic City earning a notable name in the gaming industry. However, the later parts of the 20th century witnessed almost all states legalizing some forms of gambling, with Hawaii and Utah being the only exception. Online casinos are not entirely legal in the United States, as the Federal Wire Act of 1961 and the Unlawful Internet Gambling Enforcement Act of 2006 prevent US citizens from indulging in any interstate or international transactions that relate to gaming. Therefore, US players can only access online casinos that specifically target their location or those that are approved by the authorities to carry out operations throughout the country. The Supreme Court had only recently overruled a 1992 federal law on sports betting, which ensures that punters can now take part in sports betting through all legal channels. Sports wagering had been estimated to reach $150 billion in a calendar year, which were usually wagered through illegal channels. Therefore, the Supreme Court ruling has indeed helped quite a substantial number of punters, which can be considered as a win-win situation for all other types of gaming markets. The current trend indeed sets a favorable tone for the future, as gamblers can now expect the authorities to take a flexible stand in the domestic, as well as the international gaming market. Is it Legal to Gamble Online in Every State in the USA? Gambling online is becoming increasingly popular these days. Not only in America but all over the world. Citizens are betting on sports, poker games, among others such as 918kiss Malaysia. Online gambling is legal in many countries around the world, however, when it comes to the United States things can get a bit complicated especially when you go state by state. Technically it is illegal to gamble according to most federal laws in America. Although there are loopholes and amendments across the country that state you may be able to gamble legally. Some states are fully legal and several others are in the process of trying to get online gambling legalized at least in some form. Currently, there are eight states in which online gambling is considered totally legal mostly in the eastern half of the country. Below is a list of different states and what may or may not be considered legal when it comes to online gambling. In the state of Wyoming, you can gamble “socially” otherwise it’s illegal to gamble online in Wyoming. If charged for gambling online you will face a fine of $750 and up to six months in jail. There are some “state allowed” forms of gambling in Wisconsin, however, any other forms of gambling such as bets made online are considered a class b misdemeanor for the bettor. In the state of West Virginia, there are several casinos where you can gamble legally. They also have what is called “slot parlors” that allow you to play slot machines legally as well. However, any other kind of gambling is considered illegal throughout the state. If you make a bet you are obligated to pay a fine of anywhere between five dollars and $300. If you don’t pay the fine you will be ordered to spend between 10 and 30 days in jail. The state of Washington has made several attempts to legalize and regulate poker over the internet. However, those attempts to pass HB1114 were unsuccessful thus far. There are some forms of legal gambling in Washington, but the current law states that if you transmit or receive gambling information over the internet you can be charged with a class c felony. According to the statutes in Virginia, you cannot in any way make a wager on anything left to chance. Your computer is considered a gambling device if you use it to make a wager as well. If you do so, then you may be charged with a Class III misdemeanor. In Utah, it is totally illegal to gamble in any way shape or form. There was even a recent amendment that specifically mentions online gambling. It is considered patently and expressly illegal and is considered a Class B Misdemeanor. There are some forms of gambling that are “State-Sanctioned”. If you do engage in any of the forms of gambling that is illegal in the state you are subject to a fine of anywhere between $10 and $200. In the state of Tennessee, some gambling is legal by state law. However, if you use any kind of electronic device to make a wager then it would be considered that you are in possession of an illegal gambling device. In such a case you could be charged with a Class C Misdemeanor. You cannot participate in wagering on any game decided by chance in Texas. If you do this you are committing a Class C Misdemeanor. However, there are some state-sanctioned games of chance considered legal. If you gamble or operate a gambling institution in your South Carolina home you may be subject to harsh penalties. Although the state laws don’t mention anything about online gambling you can be charged with a $100 and up to 30 days in jail. The laws here are quite ambiguous and open to broad interpretation. You could be charged with a Class 2 Misdemeanor if you engage in gambling that is not already state legalized. There is no mention of online gambling in the Rhode Island statutes, however, if you participate in what is called “social games” you are subject to 30 days in jail and a $500 fine. All forms of gambling are illegal in Pennsylvania, although the penalties appear to only be for operators and not players. It is a Class A Misdemeanor for participating in any non-state sanctioned gambling in Oregon. If you are involved in any form of gambling here that is not State authorized you can be fined $25 to $100 or 1 to 30 days in jail or both. There are no penalties for online gambling according to Ohio law. However, that law does state that engaging in illegal gambling as a source of income including bookmaking and betting with a bookie is outlawed. You can make bets of up to $25 per event in this state. If you exceed $25 with your wager you are subject to an infraction and if you go above $500 it is a Class A Misdemeanor. Online gambling operators are subject to penalties in New York for illegal gambling including online gambling. However, players are not subject to penalties according to the statute, There is a Bill they are trying to pass that would consider Poker a game of skill and therefore not gambling. Any game of chance is considered gambling in this state. It is considered a CLass II Misdemeanor and any money gained from online gambling can be seized by the state. All types of gambling and or “making a bet” are illegal in New Mexico. It is considered a misdemeanor here as well. In New Jersey, it is entirely legal to gamble online. All of the crimes for other forms of gambling are pointed at operators and not bettors. Online Poker is legal in Nevada under State-Licensed operators, however, most people simply gamble at casinos instead. All online gambling is considered illegal here. If you risk “something of value” with any game up to chance then you have committed a Class IV Misdemeanor when the wager is up to $500. If you bet more than $500 you are Promoting Gambling in the Second Degree. It is technically not illegal to wager online in California according to State laws. However, you may be subject to penalties on a more local level. The law here states that gambling as a player is ok but being an operator is not ok.
As for the rest of the states in the union where placing a wager is considered at least partially legal; they are Maine, Minnesota, and Delaware. Alabama is fairly ambiguous when it comes to online gambling as well. As always you should do your own due diligence when it comes to state and local laws. The good thing is that many states are planning to put forth Bills up for House and Senate votes to get online gambling legalized across the board. However, until this past May both sports betting and daily fantasy sports wagering on sites like DraftKings and FanDuel were still illegal in many states, and with the supreme court’s’ decision in May to strike down PASPA (Professional and Amateur Sports Betting Act) which was preventing states from legislating their own laws to regulate sports gambling that will change drastically in the coming years. The N.J. Governor Phil Murphy v. NCAA case and subsequent ruling is going to allow bookies and states to have a say in what the rules are and how things are essentially done when it comes to the floodgates being opened concerning legalizing all sports betting. Basically, you won’t have to go offshore anymore as most people still do who aren’t in states with casinos or where offshore online gambling is considered ok. Put it this way it is estimated that about 400 billion U.S. dollars are said to be wagered on various sports and sporting events. It is also estimated that more than 90% of this is done illegally. This new ruling has paved the way for DraftKings and Fanduel and those who love to play fantasy sports and wager on them in the process. The supreme court decision means several things for the citizens of the states who decide to legalize sports betting. However, there are some pros and cons that come with the decision. Some of the positives of the ruling according to those involved are that it brings the seediness out from the shadows and into the light of day. What this means is that bookies who have taken bets illegally for years will be taxed and regulated. The hope for this is to curb any physical incidents that happen, while also boosting state revenues tenfold. Another thing those in favor of the bill feel is that it will eliminate much of the desire to “fix” certain sporting events to go in favor of mafia organizations and other criminals looking to make a big score on a game or a team throughout a season. Some of the negatives of the court’s decision are making sure that the regulation in place doesn’t find its way to corruption Some also worry that many bookies will still fly under the radar and therefore the estimated financial gains would not quite reach expectations. There is also some rhetoric of sports gambling legalization leading to more addictions and more people ruining their lives. In this journalist’s humble opinion gambling, drugs, and prostitution should all be legalized and fully and securely regulated. Not only will several economies benefit greatly from this but the people involved who are more than likely going to use those vices on both sides whether it’s legal or not will be made safer. Do you like betting on football? Perhaps you enjoy making the basketball game a little more exciting by placing a wager? Or, you may love picking the winners on the PGA Tour; among several other things. Gambling is a very popular aspect of life these days both in the United States and abroad, and it’s growing increasingly popular online. Online gambling is very easy and becoming a huge industry. Whether you like to wager on sports or play poker and other online games, you can pretty much find a place to gamble; for real money on real things. Here is an interactive map of the legal status of online gambling globally. The online gambling industry brings in about 1 billion dollars every year, and that number is growing by the week. In 1997 the online gambling industry brought in a mere 200 million per year. It should be noted that online gambling is not entirely legal in the United States. More specifically, you can gamble online as long as the website isn’t based in America. Before you begin gambling on any site you should search for information to confirm that you are using an offshore site. Another thing to keep in mind is state and federal laws are constantly changing so it’s extra imperative to keep tabs on these ever-changing laws. As far as state by state laws are concerned Delaware, Pennsylvania, and New Jersey have passed laws stating online gambling is legal. Some other states allow of online lottery purchases however, they have not passed any laws for all other forms of online gambling. States such as Michigan, Illinois, Kentucky, New Hampshire, and Georgia. In 1996 a group from Montreal, Quebec set up a gaming commission which then issued licenses to online gambling websites in North America. The Mohawk Territory of Kahnawake group was responsible for setting up the commision also known as the Kahnawake Gaming Commission. Your interest may be peaked and you’re probably wondering where to go for legal online gambling? Here is a list below of the top online gambling websites at the moment. Bovada, Cafe Casino, and Slots.LV are a few that provide both sports betting and tab;e games. There is also Planet Casino, Cherry Jackpot, Casino Max, and Ignition Casino, are a few other of the best online gambling website out there. You should keep in mind that most all of these sites offer different specials and different promotions. So, it is in your best interest to take the time and do your research before you begin and after you’ve double checked that they are legal wherever you may reside. Some sites offer extra cash for signing up. Some match whatever you deposit. And some simply provide better odds and higher payout percentages. This explains why it’s well worth it to do your due diligence. Online gambling can be extremely fun however, you must use moderation and common sense while embarking into this world. For more helpful information about legal matters, stay up to date with our blog.